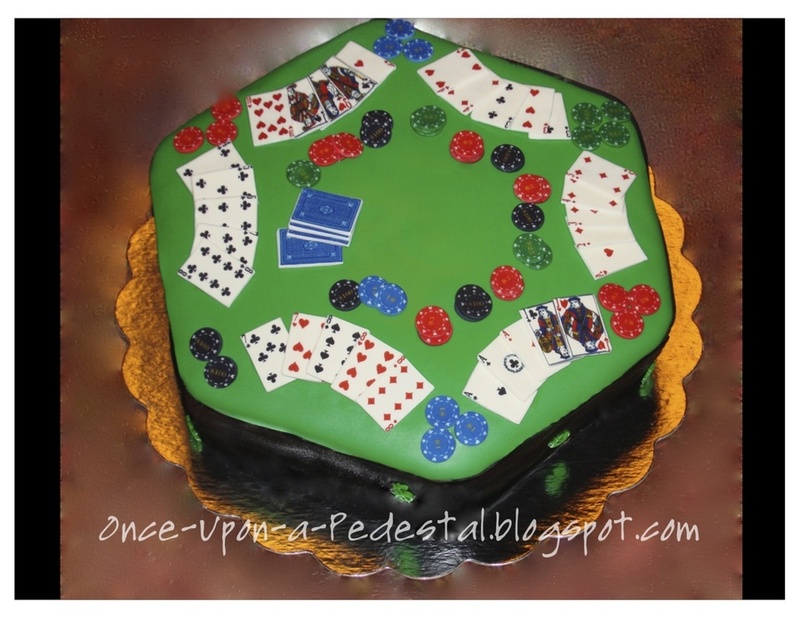 Yet another poker table cake. I tried to have this made at a local bakery but they wanted $400 so I made it myself. Fondant over chocolate cake with caramel filling and fondant cards & chips with edible images.